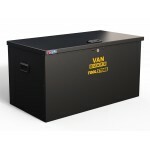 Van tool safes / van tools stores. 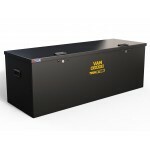 Here we have a selection of tool stores and tool safes from Van Guard and Van Vault designed for use in all makes of vans, light commercial vehicles, cars and more. 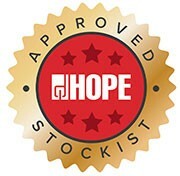 The range of products can vary from both manufacturers however all come with the Van Line guarantee of quality. 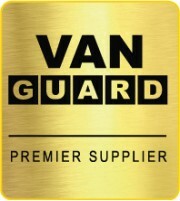 The all new Tool Store from Van Guard. 770mm x 370mm x 370mm in black powdercoated galvanised steel tool store including a single intergrated locking mechenism and keys. Made from high quality pre-galvanised steel and riveted construction with hinged lid, rubber stoppers, pre-drilled floor holes, stays and handles. 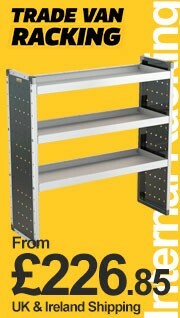 Universal - For fitting to floor or portable storage. 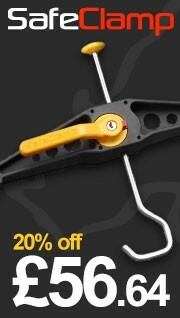 The all new Tool Store from Van Guard. 910mm x 480mm x 480mm in black powdercoated galvanised steel tool store including a single intergrated locking mechenism and keys. Made from high quality pre-galvanised steel and riveted construction with hinged lid, rubber stoppers, pre-drilled floor holes, stays and handles. The all new Tool Store from Van Guard. 1370mm x 480mm x 480mm in black powdercoated galvanised steel tool store including a twin intergrated locking mechenism and keys. Made from high quality pre-galvanised steel and riveted construction with hinged lid, rubber stoppers, pre-drilled floor holes, stays and handles.